Join the Crimson Heat Majorette Dance Team,"The Spice Girls" on this coming Saturday, October 15, 2016 at the Bowie Town Center at 9:30 AM as they perform in the Bowie State University Homecoming Parade. This is a performance you don't want to miss! 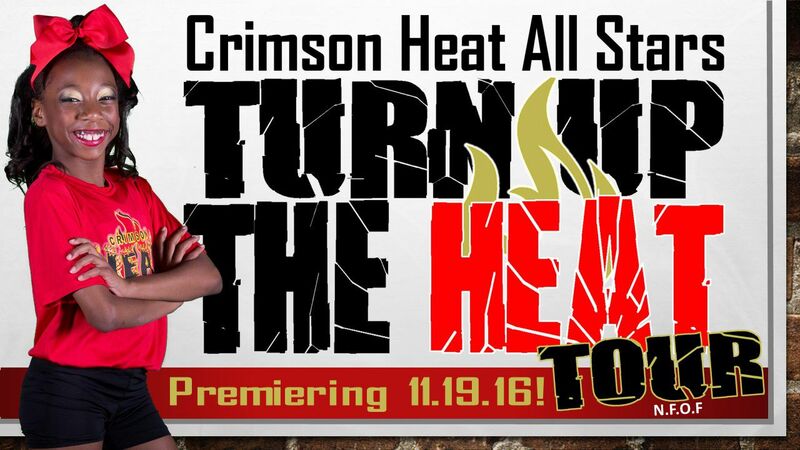 Season Premiere is Crimson Heat's Annual Showcase Event. Our 2016-2017 teams will debut their routines for friends and family before the start of the competition season. Join us as we celebrate our athletes as they showcase their talent on our FIRST STOP of the Turn Up the Heat Tour! 08/31/2016 - Introducing the Turn Up the Heat Tour! Heat Fans and supporters...we need your help! We are so honored and delighted that we have been selected as a finalist in the Varsity and All Star Insider "Cheerleader's Choice" competition. Cheer Programs from all over the country were nominated and only 18 teams were selected as finalist - Crimson Heat is one of them! Winners of this competition will be followed over the course of the competition season and featured on Varsity TV. This is an amazing opportunity for our athletes. Please vote! 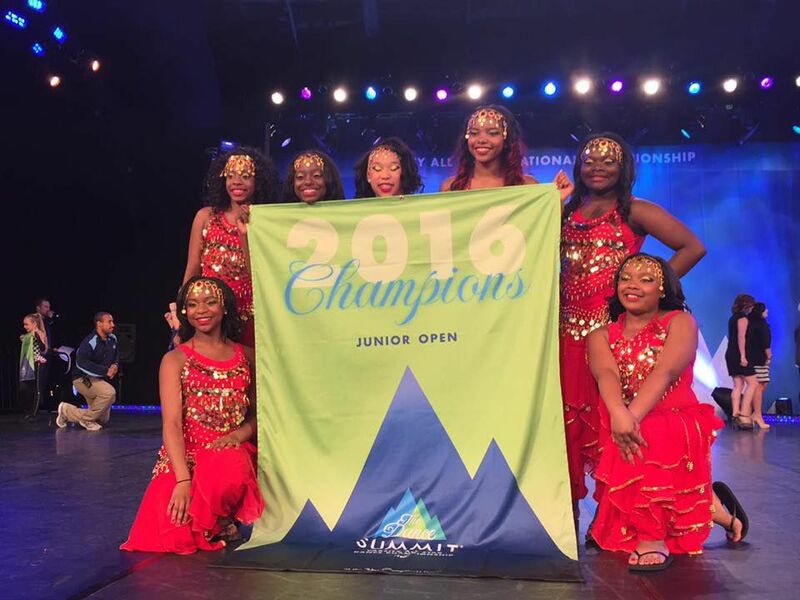 Congratulations Crimson Heat Code Red the 2016 Junior Open Dance Champions! We are so proud of these seven amazing athletes who captivated the judges with their Bollywood Themed routine in Varsity’s Cheer and Dance SUMMIT in Orlando, Florida. Under the Direction of our Dance Program Director, James Dickerson, these ladies stole the hearts of audiences all over the country with their powerful yet graceful and perfectly synchronized moves. They also looked stunning in their beautiful red costumes that were covered with gold coins and beads. Coach James advised that even though they were a small team, with several beginner athletes, these young ladies worked hard! “They gave me their best, each time we came together.” Three of them were cross competitors and had to meet obligations to their academics, their cheer team and to the dance team. There were many long days of practice but these young ladies never complained, they gave their best each practice and improved with each performance. Receiving the bid to attend the SUMMIT, in their first and only dance qualifying event, Coach James was extremely proud of the team. The athletes and parents worked hard to prepare for the trip and were very pleased with the outcome. Congratulations Crimson Heat and we will be on the look out for great things in the future for this team!